CSCM works with extraordinary young people who have the potential to become not only nation and provincial sports heroes, but also inspirational leaders, social advocates and mentors for future generations. The Centre’s world-class sport science team provides physiology, biomechanics, strength and conditioning, nutrition and mental health services that complement the technical training athletes receive from their coaches. The work we do is athlete-based, coach-led and expert-resourced. Join the journey of Manitoba’s elite athletes today. Canadian Sport Centre Manitoba is a Registered Canadian Amateur Athletics Association #88853 5432 RR0001. 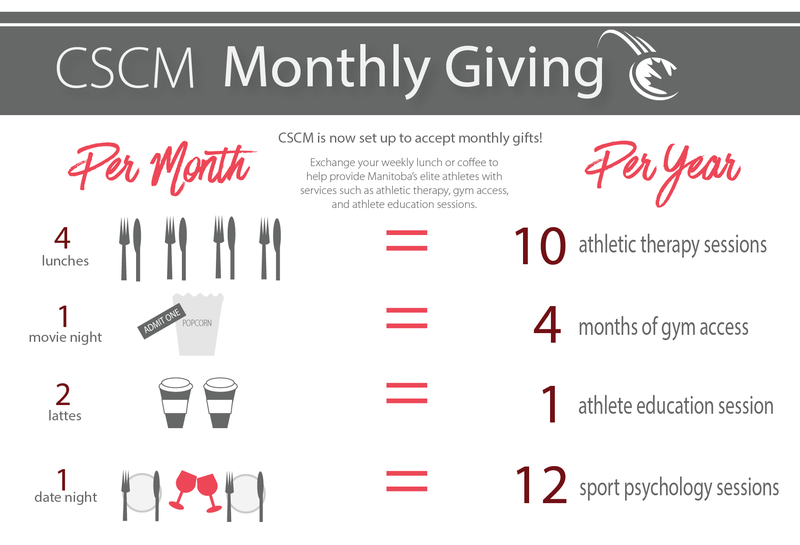 CSCM is now set up to accept monthly gifts! Exchange your weekly lunch or coffee to help provide Manitoba’s elite athletes with services such as athletic therapy, gym access, and athlete education sessions. Click here to learn about Monthly Giving. 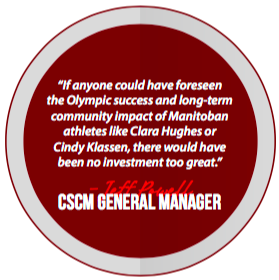 CSCM established an Endowment fund, housed at The Winnipeg Foundation, to ensure Manitoba’s future athletes & role models have support for years to come.